Summer drinks scream for a straw, don’t they? A tall, frosty cocktail or homemade soda just doesn’t seem complete without a slurpable stem. But all of those plastic straws massively add up. How much, you ask? 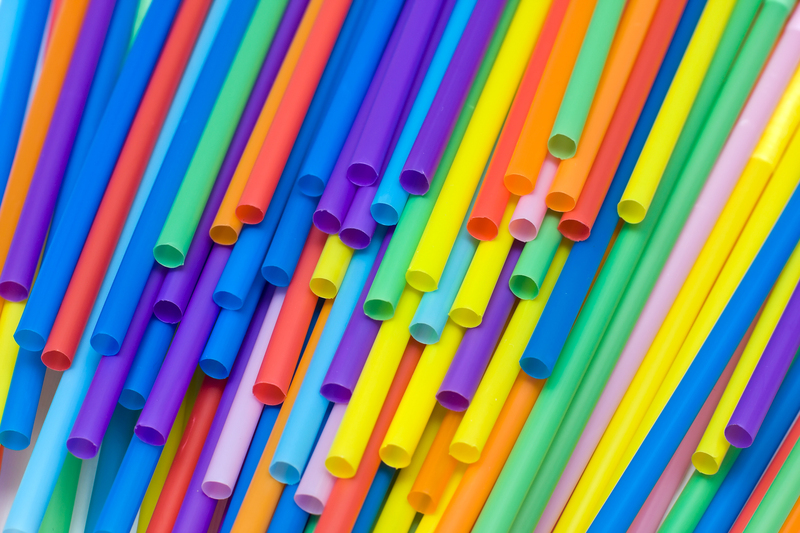 In the U.S. we use 500 million straws per day! Does your drink taste a little less fancy now? Don’t sweat, you don’t have to give up straws to sip guilt-free. You just need a durable, reusable glass in your life. I’ve used glass straws for a few years now, and they’ve held up great to near daily use. You can wash glass straws right in the dishwasher, and most of the time that’s all it takes to keep them clean. If you do end up with stuck-on gunk – say from a berry smoothie – a water soak and a quick scrub with the small cleaning brush that comes with the straws does the trick. The only difference in glass straws is their size. It might sound nit-picky, but glass straws are usually wider than plastic ones. The first few times I used my glass straws they felt a bit bulky, but I got used to them super quick. Now I hardly notice the difference at all. Switching from single-use plastic straws to glass ones might seem like a small thing, but they can keep 127 school buses worth of waste out of the landfills every year. Such an easy change for a big difference. Cheers to that! There are reusable alternatives to almost every disposable item you use, and the quicker you switch to a more sustainable alternative, the more wast you keep out of the landfill. Grab some glass straws and find more ways you can skip single use plastic.